What is the NBA 2K20 Game? NBA 2K20 is a basketball simulation video game developed by Visual Concepts and published by 2K Sports, based on the National Basketball Association (NBA). NBA 2K20 was released on September 2019 for Microsoft Windows (PC), Nintendo Switch, PlayStation 4 (PS4), Xbox One, Android & iOS Mobile devices. NBA 2K20 game is an excellent game, which is with broadcast graphics and halftime shows in NBA 2K20 make you feel like you're sitting on the couch watching an actual game of basketball, and NBA 2K20 game is a great way to kill some time with your family and friends’ weekdays. 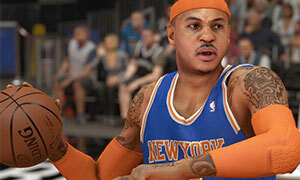 NBA 2K20 MT Points & NBA 2K20 VC can be spent in many game modes, including MyCAREER (for apparel, signature animation packages and more), MyTEAM (for opening packs and more), and MyGM, which are spent within the game store, on things like to name a few items - MyPLAYER attributes, virtual goods (such as uniforms and equipment), apparel, and animation packages that grant your character new moves to perform. NBA 2K20 finally crossed the line and offered career mode where you must Buy NBA 2K20 MT Points (Coins), or NBA 2K20 VC in case you don't have hundreds of hours needed to collect enough NBA 2K20 coins to create a solid player. 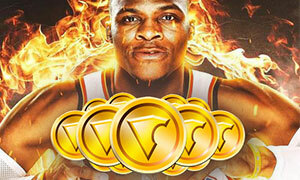 Joymmo.com is at your side provides Cheap NBA 2K20 MT Points (Coins) Top Up, and NBA 2K20 VC for you! Just order them now!